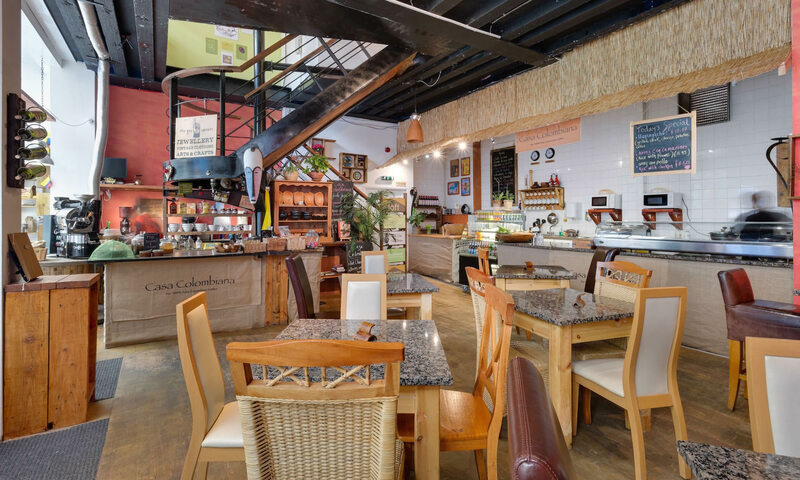 This colourful Restaurant that started life as a Coffee House, is situated in the Grand Arcade, Leeds’s fast growing Northern Quarter. Run by husband and wife team Marta Adarmes and David Nkengmo who set out to share their love of great but simply pure coffee with everyone, it is one of the City’s best kept secrets which now boasts a full service Latin Cocktail Bar upstairs! The atmosphere is incredible, warm and welcoming, with loads of personality. Everything is made fresh at Casa Colombiana. Take the coffee for example, it’s roasted and ground on site. This makes for the freshest cup of coffee in the city! And we only use the same Colombian coffee bean variety, so you’ll get the same great taste every time you visit us. The food is equally great. Authentic Latin American dishes full of Flavour, freshly cooked before your very eyes, all washed down with carefully selected Beers and Wines from the same region. To round things up, homemade cakes with a Latin twist. 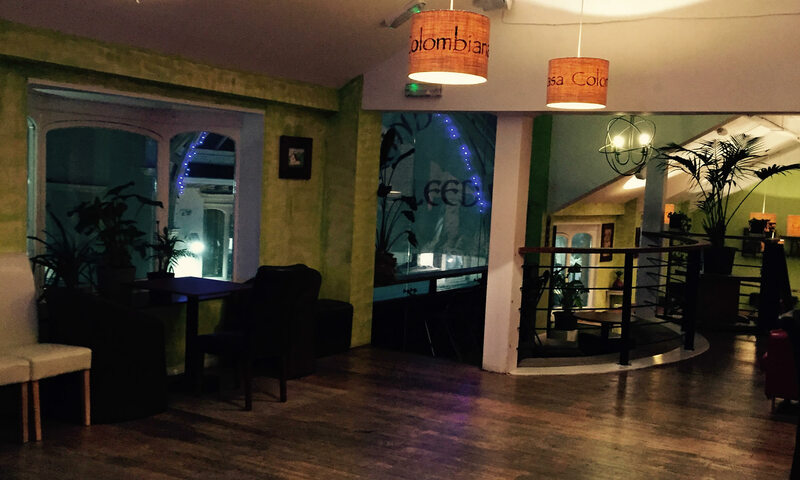 But the experience would not be complete without you nipping up to the newly opened Latin Cocktail Bar upstairs! 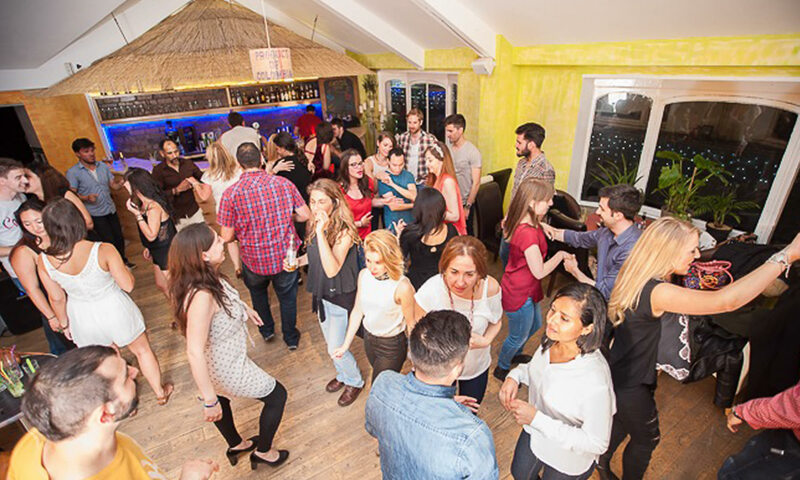 This is where you will be able to learn your first steps of the intoxicating, exhilarating and uplifting dance phenomenon that is Salsa, every Thursday evening from 6.30. You will then practice them every Friday and Saturday to the pulsating tunes played by selected Latin DJ’s, and the occasional live band.